Home Gear What is an Electric Mountain Bike? Learn more about electric mountain bikes and why they are a great option to get more people riding bikes. A couple years ago if you walked into any bicycle shop there was the chance that you’d see an electric bicycle. There was maybe 1 or 2 on the floor, and it was most likely a city style bike or beach cruiser. Now, if you walk into your local bike shop you’re likely to see a wide selection of electric bicycles – from commuters to cruisers, to mountain bikes. Electric mountain bikes have been popular over the years in Europe, but are finally making there way over to the United States. A Class 1 Electric Mountain bike is a power-assisted bicycle with an electric motor that assists the rider. To engage the assist, the rider must still actually pedal the bicycle. In the United States, a Class 1 Electric Mountain bike does not have a throttle, as a motorcycle would. The system is only activated through the motion of pedaling, like a traditional bicycle. The boost of the motor is legally limited to 20mph. There are several manufacturers like Shimano, Bosche, Brose, and Yahama making electronic drive units for bicycles. What It’s Like to Ride a Shimano STEPS e-MTB from Ride Shimano on Vimeo. 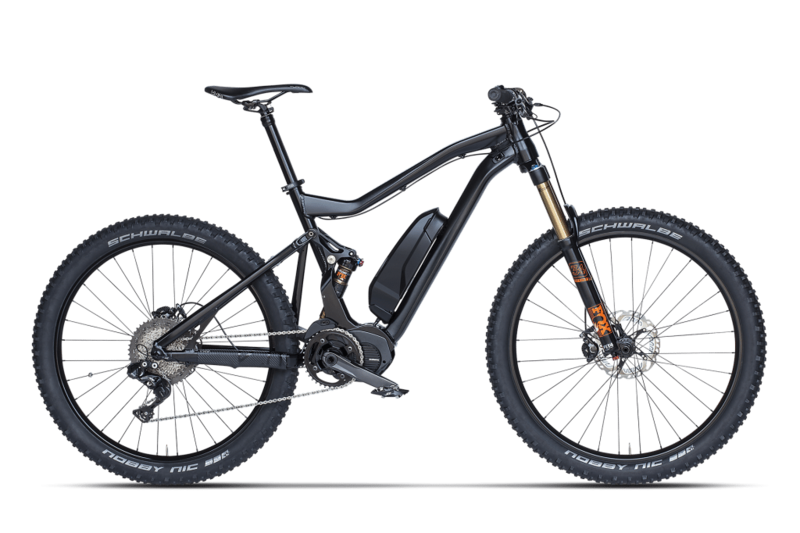 Who are Electric Mountain Bikes For? Electric Mountain bikes are a great option for a wide range of people. While there are some negative feelings from the purists of the mountain bike world towards electric mountain bikes, there are several applications where an electric mountain bike is a great option. I can see the electric mountain bike being a great equalizing tool for someone like my dad, who loves nature and spending time outdoors but doesn’t ride on the regular and have a baseline cycling fitness level. The electric mountain bike would allow my dad to spend time on the bike outdoors without feeling overly winded. It would allow for both of us to ride together, on the same level without one of us suffering to keep up. I enjoy mountain biking, but unfortunately don’t always have the time to train and spend hours and hours on the saddle to increase my bike fitness. I can use an electric mountain bike for the days that I want to get out and ride for longer while feeling fresh and enjoying the day. What’s Different About Electric Mountain Bikes? Electric Mountain Bikes are just like your traditional mountain bike but feature a small motor typically near the crank and a battery pack usually found on the down tube. Electric Mountain Bikes can come in a variety of options from hardtails, to full suspension and are typically aluminum but there are some manufacturers making higher-end carbon fiber electric mountain bikes. 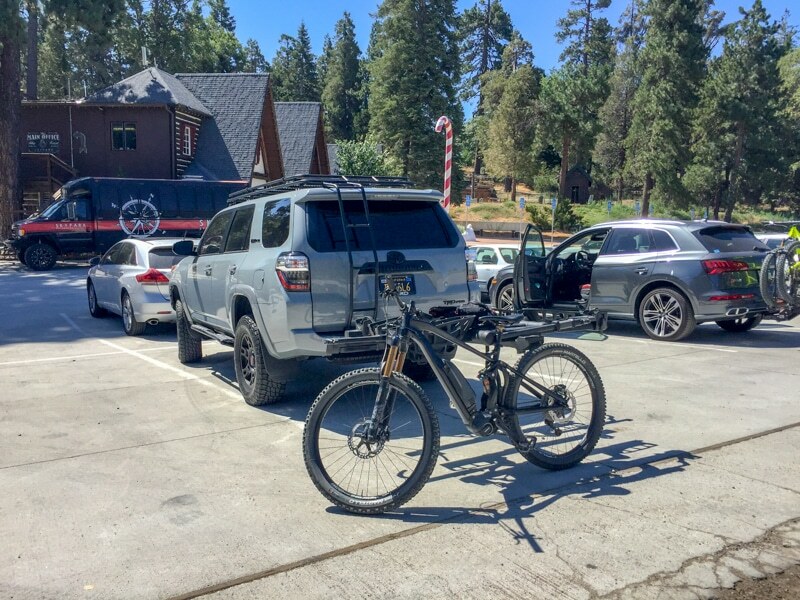 Because of the addition of the motor and battery pack, Electric Mountain bikes typically weigh closer to 45lbs, making them significantly heavier than your traditional mountain bike. When it comes to braking, shifting, suspension, and more, your electric mountain bike is very similar to your traditional mountain bike. There may be some minor tweaks to account for the extra weight of the bike, but other than that it’s just like sitting on a mountain bike. What’s It Like to Ride an Electric Mountain Bike? 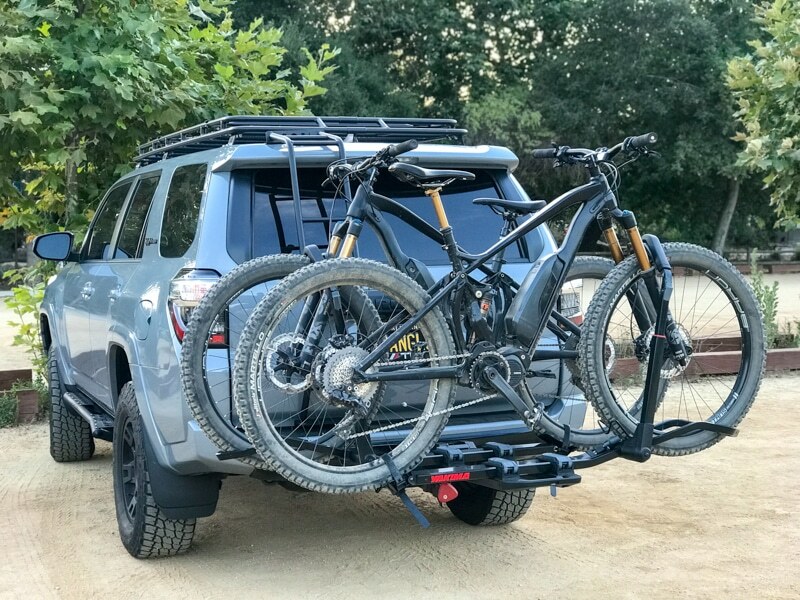 Two Shimano STEPS E-MTB on my Toyota 4Runner. I had to use a special bike rack capable of holding the added weight of the e-bikes. The Yakima Rack Daddy in the photo did the job. I fell in love with the electric mountain bike the first time I went out for a ride. While I really enjoy mountain biking, I don’t always have the time to keep my bike fitness up. It was so enjoyable to be able to ride a trail that would normally kick my a** without feeling overly dead. I could actually stop and enjoy the scenery, enjoy conversation with my friends, and finish the ride feeling energized. I certainly wouldn’t discount the electric mountain bike as a workout either. During my ride, I wore my Garmin heart rate monitor and noticed my heart rate was still in the fat burning zone. 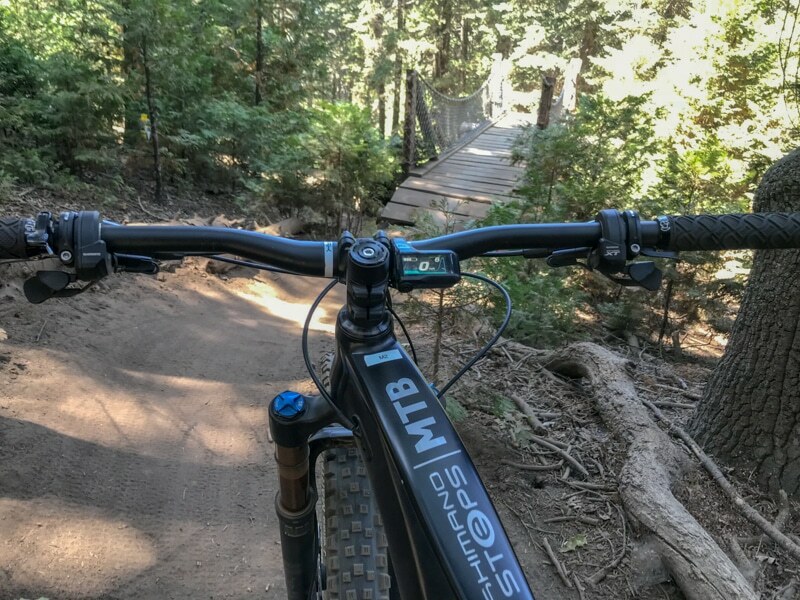 While it’s normally in my max zone during traditional mountain bike rides, the electric mountain bike still required physical exertion and can still be a great workout option for those looking to be a little more active. What Does an Electric Mountain Bike Cost? Electric mountain bikes can drastically range in price. It really depends on what type of bike and the specifications you are looking for. On the lower end, you are looking at closer to $3,000 for a bike that is likely a hardtail with mid-level components. A full-suspension, carbon, dialed-in electric mountain bike like the Pivot Shuttle can be on the complete opposite end of the spectrum setting you back well over $10,000. Ultimately, it’s best to visit your local bike shop to go over the type of bike and options you are looking for. 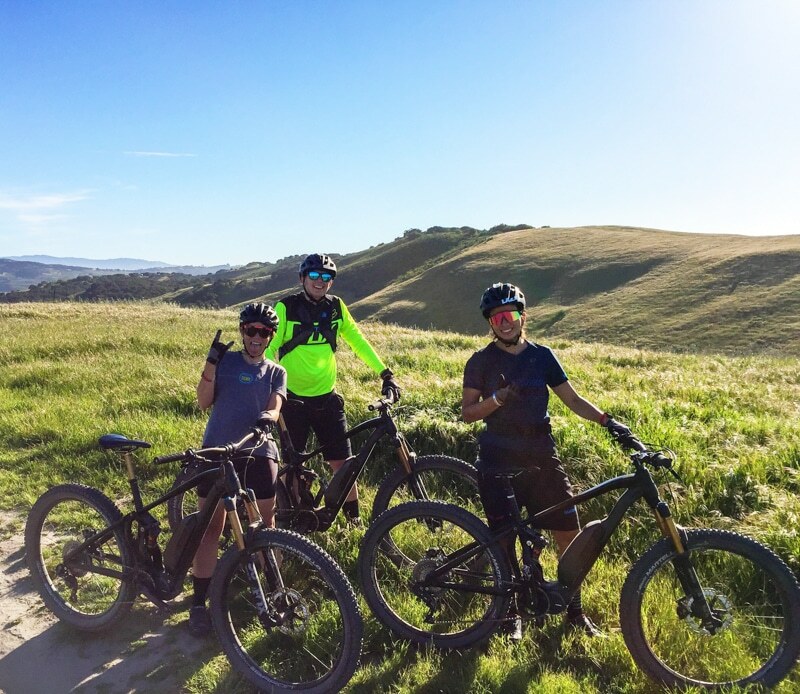 Most bike shops and retailer brands are promoting electric mountain bikes through demo rides. I’d highly recommend visiting your local bike shop and taking an electric mountain bike out for a spin yourself!